The Sun Joe TJ603E 16-Inch 12-Amp Electric Tiller and Cultivator is an ideal tool for tough, rocky ground. This Sun Joe mower is significantly more powerful than other electric models on the market. 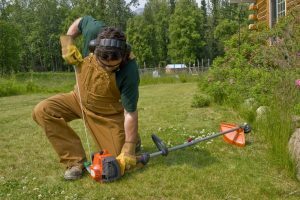 The environmentally friendly 12 amp power controls 6 durable steel tines in a combination that will take down the toughest of weeds, rocks, and other elements. Easily transported, you can roll the machine around the sidewalk, your garage, and anywhere else you need. Get it to and from work sites with ease. The Sun Joe TJ603E has a 12-amp electric motor, one which is designed to get through hardened beds which might never have been tilled before. Without relying upon gas or oil, you get a motor that gives you comparable strength to those high-emission engines, ready to work through solid earth, but you don’t have to worry about the added pollution. You will find that the electric design means you can just push a button and avoid any tune-ups, any oil changes, any gas fill-ups. All you need do it press it to start. Watch then as it works its way through the toughest yard, preparing for seedbed planting or just slicing through soil and pulverising the dirt. The tines you will find on the Sun Joe TJ603E Electric Tiller and Cultivator are impressive in their strength. There are six of them and they are angled such that they give you heightened effectiveness. You can rely on these tines to cut 16 inches wide and 8 inches deep in a regular garden. These tines rotate at 340 RPM which makes them ideal for mixing hard dirt, cutting weeds, or aerating soil. The rear wheels on this unit are perfect for tipping it up and rolling it around. You can adjust these wheels into one of three positions and with that, you can enjoy increased flexibility. Good wheels really will keep your cultivator stable and more easily moved around. This makes it simple to store and then bring out whenever you need a quick landscaping job. The rear wheels, as mentioned, make it incredibly simple for you to not only control it while you are working, but to move it around from a storage space to a car to a yard. You can get the tiller anywhere you need it to be with minimum effort. These wheels can be adjusted to move across whatever landscape you are currently working with, in a safe and reliable fashion, something that other tillers are not able to provide to their users. Not only does this unit have the rear wheels, but it also has a handle which you can fold down for compact storage. Said handle works well for transporting it too, allowing you better control over the cultivator as you are moving it around. This handle also makes it easier for you to control it while using it in your yard. You will be hard pressed to find any type of ground that this unit cannot handle. With its powerful 12 amps and the special steel tines, it almost cannot be broken. Whether your garden has clay running rampant and unbroken, is littered with rocks, or anything else, this unit has the durability and the power to, no pun intended, power through it. Due to the fact that it has an electric engine, you are not required to do much in order to maintain it. When you use a gas powered cultivator you always have to check the oil and gas levels. What’s more, you generally have to go a lot of cleaning up. But with this tool, you have to do next to nothing. Really, the only time you spend with it is when you are using it in your garden. As is the case with almost all electric cultivators, this one has the electric cord which can get in the way. When you are using it, you have to exercise caution to avoid getting it tangled, running it over, or tripping over it while in use. By comparison to gas and oil units, this is not that big of an issue, and something you can easily work with. Does the Sun Joe TJ603E 16-Inch have variable speeds or does it just have the on/off function? It has some variation in terms of the RPM range, but the difference between them is minimal. On that note, the wheel adjustments and how much you pull back on the handles will help you control how shallow or deep it tills as well. 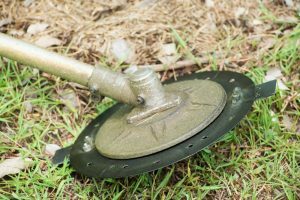 Will using the Sun Joe Electric Tiller and Cultivator break the sprinkler heads and PVC pipes? Yes. This unit is powerful enough to break through anything in its path, including your feet is you are not careful where you step. As such, treat it well and make sure you know where each component of your sprinkler system is before you use it. If my yard has sod over a layer of rock, dirt, and bricks, will this unit work? 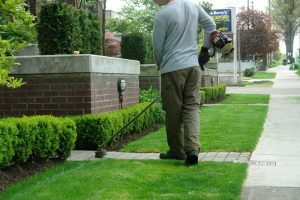 This electric tiller will not have any trouble breaking through dirt, rocks, or sod, even the occasional brick. Be advised that the teeth might get slightly bent if it is digging at large, buried rocks. The tiller truly can take a great deal of abuse. 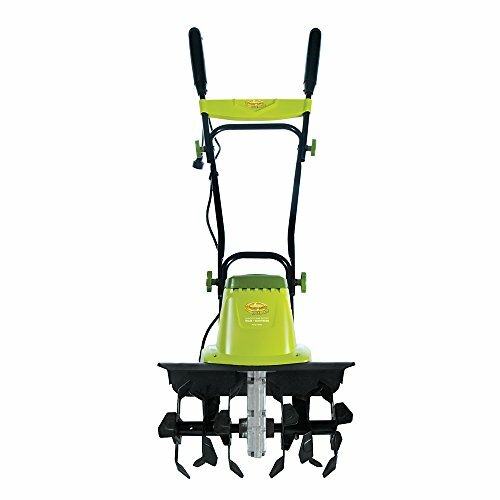 Overall, the Sun Joe TJ603E 16-Inch 12-Amp Electric Tiller and Cultivator is truly one of the best units on the market. It is truly a well suited machine for any ground that is hard and rocky. It will run one hundred percent clean without sacrificing power. The strong motor makes it well worth the investment. Transporting and storing it are both hassle free, which makes it something you can easily use on a regular basis.